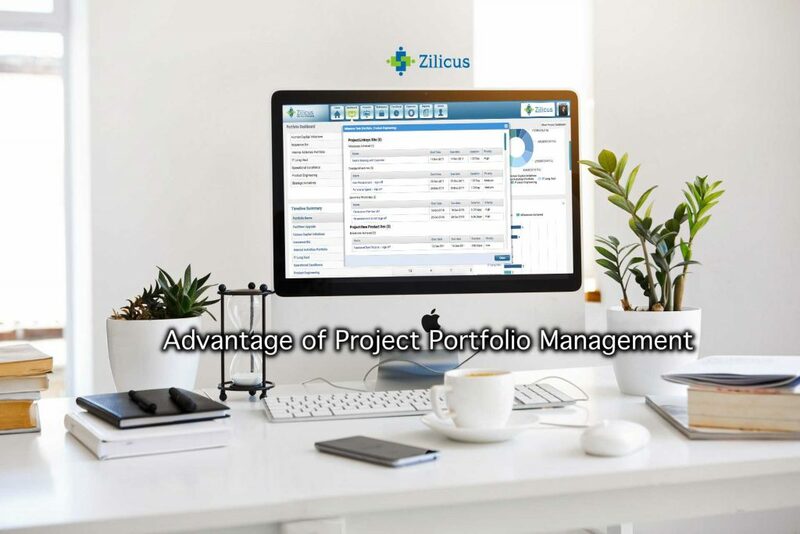 At Zilicus, we are helping organisations across 100+ countries, from industries like marketing research, insurance, financials, technology, engineering, consulting, IT, food & beverages – achieve greater success using our project portfolio management software. Here are top 7 advantages and limitations of project portfolio management. The single most benefit senior management would like to expect from a project portfolio management is – the ability to make better business decisions. Better project decisions can be made if you have reliable dataset and clear understanding of portfolio objectives aligned to its business. It means, senior management usually has a top-down way of thinking but when executives need to understand why middle-level managers have made certain tactical decisions, they need align both top-down approach with bottom-up tactics; in order to make a better decision. It is possible only when you have historic data, trends to foresee how things are going to pan-out. Also predicting project outcome based on certain decision needs current status of projects, portfolios in terms of budget, resources, cost, schedule, earned value, risk-profile, etc. Are you able to have right mix of projects in your portfolio? If the answer is no, then you are not doing what is best for your company. if the answer is yes, then you are helping your company reap maximum benefits (be it higher sales, productivity, customer engagement/satisfaction or profit, etc). Project portfolio managers have responsibility of range of projects under its umbrella. If portfolio objectives are not clearly defined, portfolio managers will have difficulty in alignment of new/existing projects with with portfolio objectives. So first of all, PPM helps portfolio manager define clear portfolio objectives/goals. Businesses most likely to have projects of varying duration, having different resource requirement, benefits or objectives. 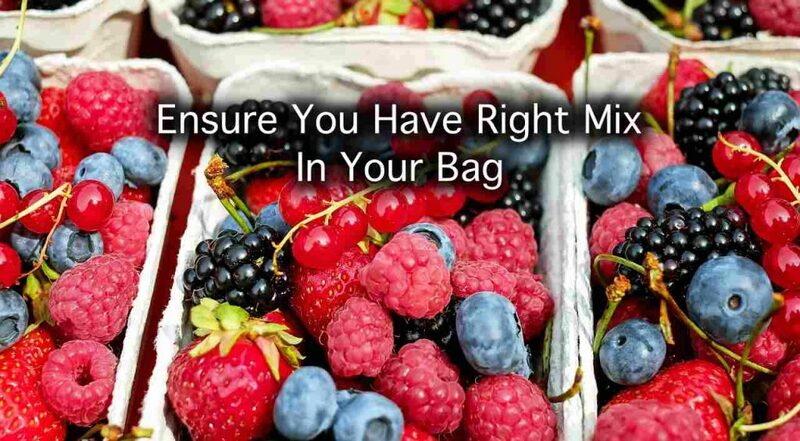 But it is project portfolio management implemented correctly, helps us accomplish the main goals of the business itself by selecting right projects mix. 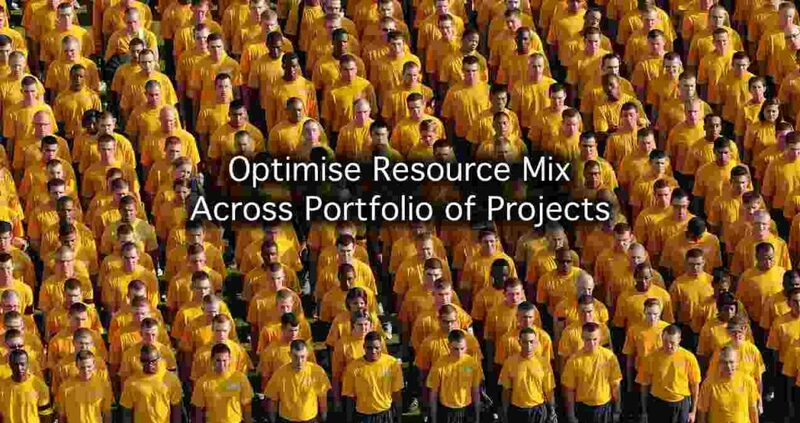 Thereby portfolio managers can avoid projects with similar outcome, duplication of resources/efforts, assign appropriate resources with right skills for correct duration to given set of projects. The project portfolio management helps organisation to balance risks and opportunities identified in projects portfolio. In the context of project portfolio, balancing of project risks means minimising the risk impact and maximising the opportunities or returns, through diversification of projects. There are different levels at which these risks are assessed for impact, probability and benefits. Project manager usually looks from project context perspective and tries to save project (and in turn itself) whereas, portfolio manager when looks at risks across projects in a given portfolio, it tries to reduce the risks by selecting right mix of projects thereby diversifying projects in its own portfolio. On the other hand, executive managers looking at multiple portfolios across departments or organisation, they are in much better position to balance project-contextual-risks for larger benefit of the business. It can involve rationalising projects across portfolios, having contingent plan for risk(s) reported in project(s) in same or different portfolio(s). There is always a trade-off between playing safe and being happy with sub-optimal returns vice-versa: taking considerably higher risks to reap greater returns by reaching full potential of the team-project-department and at the same time get ready for failure or losing everything. This is exactly what sound PPM practices will allow you to balance out. It helps management to draw a median path between playing too-safe to dealign with extremely high risk projects across portfolio. We all know, the real world has finite resources. By resources I mean – funds, people, instruments, time, etc. Obviously, it means any new/proposed project or ongoing projects have to compete with each other to acquire these limited resources. When there are competing entities (projects, project managers, clients, stakeholders), the onus to allocate optimum resources falls on portfolio managers. The word we have underscored is optimum. Project portfolio management allows executive managers to evaluate, equate and prioritise projects in order to identify high value projects for the business. Once projects are classified, ordered, allocation of resources becomes easier and justified (rather than being questioned as biased, complex, nerve-wrecking). The funds requested, people with specific skill set required, timeline extension sought in different projects can be ascertained and approved by management in more prudent manner. In short, executive management can do optimal resource allocation which is fair, based on facts, numbers, which is also beyond personal bias. Unless project performance issue is identified or highlighted, portfolio manager or executive manager can not take any corrective action. PPM allows project performance to be assessed and reported. Only after the performance number of a project falls below threshold or acceptable level (in business language we call it project KPIs e.g. overshot project budget by 20%, margins falling below 15%, earned value less than 70%, customer reported and open issues more than 30%). So before we get into addressing project performance issue, we must understand that performance should be identified, reported/highlighted. There has to be an escalation matrix defined. Once a business starts using right project portfolio management software, it starts providing all applicable indicators, reports and dashboard useful for management. PPM allows stakeholders across the board to have greater visibility to project portfolio performance, almost real time. So department heads, portfolio owners, executive management have access to project portfolio performance dashboard. Having them onboard ensure visibility which in turn leads to their involvement. Such kind of arrangement can not only, quickly highlights project performance issues but also are addressed more easily. Thus, like any best business practice, addressing project performance issues right from the time they are identified, can save project from those issues getting out of control. Though PPM can not guarantee 100 percentage success of project but can greatly help in identifying, escalating and addressing such issues early on and on a regular basis and thus keeping project progress on the right track. Missing engagement with project sponsor – lower management support, etc. Properly implemented project portfolio management enables businesses ensure that, such loose ends are tied well, minimising uncertainty, bring more predictability within project delivery. PMO processes coupled with PPM tools allow businesses to use project scheduling functionality to plan projects more accurately depending on resource capacity, availability, realistic estimation of project cost, evaluation and prioritisation of projects for better alignment with business strategy. PPM + PMO increases the chances of successful project selection, planning, execution as well as delivery thereby resulting an increased value to the business. There is one more report, which claimed that 87% of high performing businesses it researched use project management software. Project portfolio management solutions (not just processes), enable stakeholders to gain more visibility to project portfolio data, collaborate seamlessly with team members, clients, portfolio managers or executive management. Unfortunately, many businesses still use age old tools & techniques for planning projects, tracking progress, reporting and creating dashboard. It can get as bad as using Microsoft Excel for project planning and tracking, reporting. There are so many challenges with these tools & techniques – data security, data-loss issue, project information sharing, tracking real status is so difficult and it get even worse when multiple Excel files are floating around and no-one understand which is the correct (? ), latest (?) one to refer. Project analysts, managers keep calling team members, asking status update in a meeting, using email to know/inform task status, entering status update to Excel or MS Project file, etc. The amount of time project professionals waste using age old tools and techniques is highly concerning. The data is not real time, it is versioned, duplicate, confusing, conflicting and inconsistent. As mentioned earlier, executive management needs real status of project portfolio in order to make right decisions. If a business use these tools & techniques to arrive at a decision where underlying data is highly questionable; such decision becomes a risky bet. For sound PPM implementation, the processes should be complemented with right PPM software: the PPM tool that gives real time access to project data, easy ways to update progress without manual email/call/status-meetings, gives insights to project status. Gaining clear visibility to real status of project is very important for project manager, portfolio manager as well as executive management. It not only brings transparency, accountability but also significantly saves resources time through collaboration and leads to higher productivity. Using easy to use & effective PPM tools, managers can expect to save time spent on administrative activities by more than 20%, which effectively adds to bottomline of a project. Broadly speaking, PPM enables project manager, portfolio managers, PMO team members in enterprise organisations to allocate & manage resources, budget, timeline of projects, set/manage inter-dependency, processes to identify & resolve/mitigate issues, risks, control change requests and get visibility into scheduling of team activities to achieve optimal project delivery timeline & financials. Portfolio managers usually identify, define and track key performance indicators (KPIs) to check portfolio alignment with company strategy on a regular basis.